Adams Autoworx, the premier Castro Valley Hummer service and repair shop invites you to bring your Hummer to us – we are a full service Castro Valley auto repair shop that can perform oil changes, manufacturer recommended maintenance, electrical system work, advanced diagnostics and repairs. Our nationally ASE certified master technicians can repair your Hummer and get you back on the road. 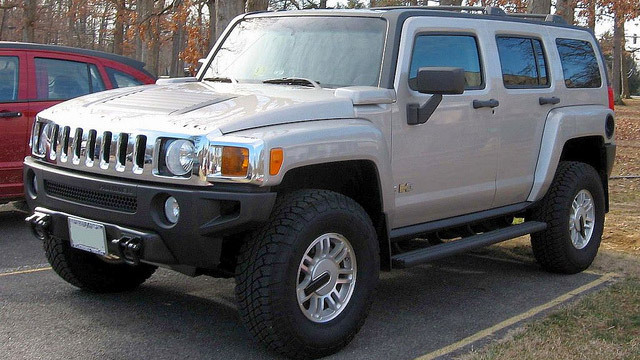 The ultimate off-road vehicle - Hummer was originally designed for military use – it still requires regular maintenance. We recommend following manufacturer recommended maintenance schedule, with regular oil changes being a must. While we perform an oil change, we also inspect belts, hoses, tires, and other systems on your Hummer – this gives us an opportunity to identify and fix problems before they result in breakdowns or major repairs. Adams Autoworx works with most Extended Warranties - we can work with most major extended warranty contracts – we initiate claims, deal with adjustors, handle the paperwork, and arrange payments – we do it, so you can go about your day. Adams Autoworx can perform professional checkup and diagnostics, should you have any concerns about your Hummer. Some problems may be serious - H3 is known to have problems with engine running rough, occasionally with leaking valves, and sporadic cylinder head failures. If you think your Hummer is not 100% healthy - bring your vehicle to Adams Autoworx, we will diagnose the problem and help you decide on the best course of action. We will not sugarcoat it – we will tell you what we see, and what your options are. In addition to major repairs, we, of course, perform routine Hummer maintenance, service and repairs, including: brake pad replacement, brake repair, AC recharge, struts, transmission problems, suspension problems, oil leaks, fuel pump replacement, water pump repair/replacement, AC repair, shock replacement, electric system diagnosis, check engine light diagnosis, coolant leaks and other services your Hummer may need. Oil change or major repairs – bring your Hummer to Adams Autoworx in Castro Valley and our friendly staff will be happy to help. Set up an appointment online, or simply call us.